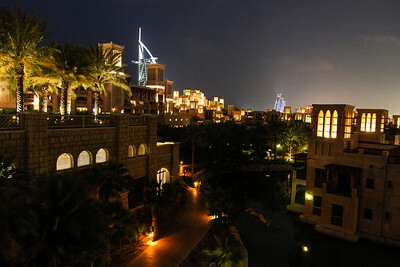 A view of the Burj Al Arab from the Madinat Jumeirah. 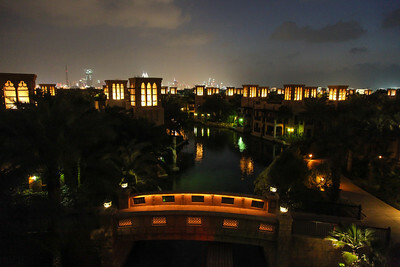 A view of the city in the background from above the canals at Madinat Jumeirah. 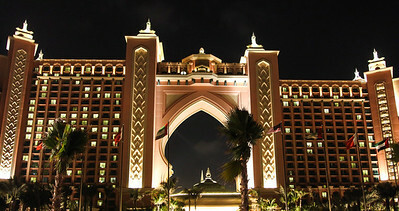 Atlantis at The Palm in Dubai. 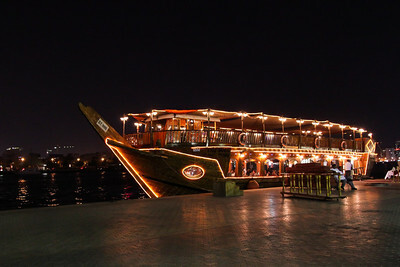 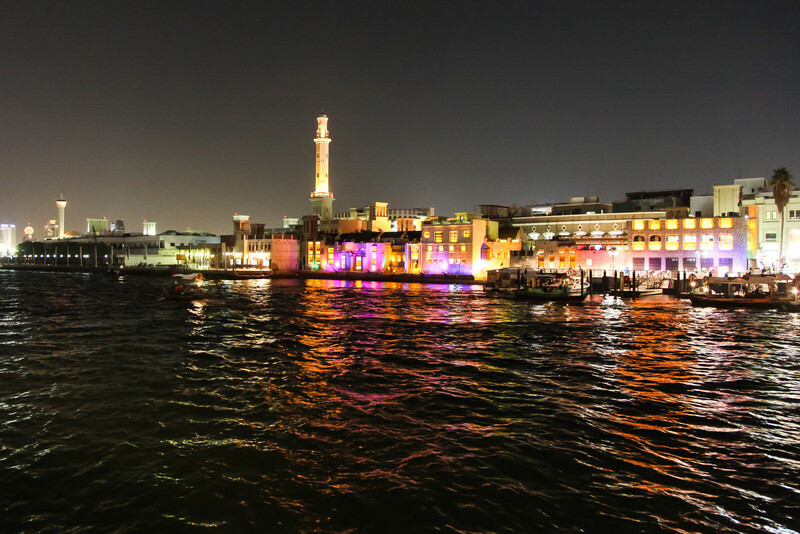 A dinner cruise waits for passengers along the Dhow wharves. A view across the creek from Deira.